Information that is classified as SECRET if an unauthorized disclosure could reasonably be expected to cause serious damage to KU basketball security. Take in the information and believe it or don&#x27;t believe it. It&#x27;s not going to hurt my feelings! Not sure how KSU fans could get their hopes up at this point. @jayballer73 Someone always has to be identified as the main challenger to KU for some reason. I mean of all the teams next year, KSU probably does pose the biggest threat which…yeah just lock up the title now. Bruce isn’t taking it. Fun fact: Dean Wade the purple savior is 0-7 against KU. Not counting the last Big 12 tournament game where he did not play. Well… Amaad Wainwright might be gone at KSU. @Buster-1926 Mawdo Sallah already run off. He wasn’t a contributor though. @Gorilla72 Beat me too the punch lol, not that wainwright was a big contribution to the teams success. Still interesting that they knew about this incident in January but just let it go til he got arrested, I realize innocent til proven guilty but you figured he had to answer a few questions on the matter. I think Texas is probably the best bet two finish second next year, gun to my head.Of course that largely depends on Coleman’s and Sim’s development. I think they have the talent at this point. It really is if Shaka can actually coach them this year. Gotlieb is usually a good segment on Petro’s show, but he does show his OSU colors every once in a while. @Kcmatt7 I think Huggy will find a diamond in the rough to replace his guards and will be a threat once again. So, next year is a year we feel we may have the title close to in the bag, given the incoming talent. Weird how things play out sometimes. How the Lawson’s fit and acclimate, and just how good Charlie Moore is, and whether we get Langford, are big deals. If Vick is gone, we don’t get Langford (and please don’t laugh here) and Cunliffe stays there is a path for Cunliffe to start. What are we lacking in that scenario? Who might be the best shooter on the wing, on the roster? Hint. It isn’t Garrett. @Barney I just have a feeling Konate is going to get good feedback and not come back. If I thought he’d be back, I might pick WVU. Huggy always is a winner. And he might finish top 3. I just think UT SHOULD finish top 2. They have the talent and athleticism to do so at least. …UT also has Smart who so far he has proven he is good at one thing, wasting talent. @JayHawkFanToo I think he finally is in a good spot where he could have 5 solid experienced starters, depending on Jones’ recovery, and then good young talent to bring in off of the bench. I just don’t think he has really had that quite yet. I do not think Shaka is a great coach, but if we judged every coach the same way we have judged his first 3 years, there wouldn’t hardly be any good coaches. @Barney Yeah. Carter and Miles weren’t even top 250 rated players in their class. I trust Huggy’s ability to identify talent at this point. Moore is average and a chucker. Vick is gone. Can’t answer the other questions yet. I have to see this w/my own 👀 before I believe all this hype for next year. Kinda scares me that we don’t have a vet. leader. @Crimsonorblue22 KJ will be 22 and Dedric 21 before the first game tips off. They are a bit…mercurial but they should be the veteran leaders. Garrett will help too he is so well coached he will be like an extension of Self. Should help the FR. Kansas is the Big 12 champion until someone demonstrates that they can take the crown away. Period. There’s none of that “could this be…” crap. Until it is done on the court, all of that is just wishful thinking. It’s like the Jordan Bulls of the 1990’s. Everybody wanted to talk about who might win the title, but until you beat the Bulls, that conversation was worthless. There’s none of this “could be” stuff. When a team is dominant, the burden of proof is on everyone else to prove they can win. Not the other way around. @BShark I need to see it. @Crimsonorblue22 I need to see a bad KU team under Self before I believe it. I’ve seen self coach before, I’ve never seen Dedric play, or be a leader. I love Marcus, but he really regressed at the end of the season. I saw kJ and Charlie play in Italy. I’ve seen hi light films of the new guys and I’m excited about them! I’m just not sure we have a frank or DG leader in there and I think we need a leader like that. I’m glad you think they are awesome! @jayballer73 Its literally every year that question is asked! LOL! I don’t think we’re going to have a Frank or DG. Those type of leaders develop and we don’t have that. We’ll miss both. What we need is a Tarik Black type to jump in the mix, somehow. He was the rock for that 2013-14 team, that seemed to lack a leader returning. We might have a leader in the mix. But we don’t know yet. I think it is a leading concern, actually, heading into next season. That and three point shooting. The leadership thing is more of a concern because the remaining guys don’t seem to be leaders, and I hate to assume transfers – guys who weren’t content somewhere else – will assume that role. Self will guide the ship like usual, and we’ve never seen him lose a team. So that is reassuring. Need opinions: the Lawson’s and Moore practiced for a year while red-shirting. However, didn’t the volume of their practice time during the season relegate them to “scout team” work? How much time was put into learning Self’s offense and defense? After a year of red-shirt, it looks like the players need time running the primary offense/defense before they’re productive. Recent examples include Newman and Cunliffe. I’m curious. What say ye? @Gorilla72 Cunliffe is pretty bad at basketball. Newman definitely bucked against Self a bit. If the new guys bought in fully they should be okay. It’s definitely an if though. Moore is a chucker that didn’t defend at Cal. The Lawsons actually played pretty tough both ways at Memphis, but they are kids too and have said and done some dumb stuff like most people. In general the team just needs reps together. Replacing 4-5 starters is difficult. Isn’t Cunliffe supposed to be a decent 3 point shooter? I understand his number at KU are probably skewed because his lack of playing time never allowed him to develop enough confidence. With the personnel at hand, there is no reason UT should not be one of the top 3 teams in the conference. I would think that another finish in the bottom half turns his seas from warm to very hot. I am not so worried about the leadership next season, because I think this team is going to have an identity all together. It won’t be “so and so’s” team. This is going to be a gritty team that I think hangs it’s hat on the defensive end. And that is why the leadership doesn’t worry me as much. We should be the reboundingest, shot blockingest hard foulingest team in the country. We finally have the depth to just throw body after body after body at teams. This may be a dumb question, but who was the unquestioned leader of the 2008 team? It felt like everyone, right? Sure they were experienced. But, ultimately, that team was just super unselfish. Everyone bought in, shared the ball, and punched every team they played in the mouth on the defensive end. Who was the leader of the 2012 team? T-Rob, maybe? I never felt like that though. Again, I felt that team just took on an identity together. They played with a chip on their shoulder all year. They were thin, but they were tough. If you were on the court with that team, you were laying someone out or just making things happen. Sure we ran the offense through one or two guys, but I didn’t think that made either of them the leaders. Everyone on that team just knew their roles. I actually hate when team’s take on the identity of one player. I think it forces players to defer to that one player instead of exploiting their own mismatch or using their own game to the best of their abilities. No knocks on DG or Frank. It think they propped up a bunch of misfits these past two years. But next season I just want to see everyone carve out their own role, and then take pride in just doing their part. We don’t need someone to be everything. We need everyone to just be something. Then, from there, it is Bill’s job to put the puzzle together. He was good against bad teams with an extremely small sample size at ASU. His 2p% was rancid though. I totally agree that this team has to develop its own identity. Because so many guys will be new, or in very different roles than in the past, there is no clear identity for the team right now. We can’t know what they will be because they don’t even know that yet. It’s quite possible their leading scorer is still in HS in Indiana (maybe?). The second leading rebounder may be in Virginia right now. The best two way guy may have watched every game in sweats. The starting PG either watched every game in sweats, or is going to prom this month. This team isn’t whole yet, and because of that, we can’t know what they will be. Guys will have to take on new roles. Grimes may have to be more of a spot up shooter to help stretch the floor (without Langford). Dotson and Grimes will both have to get used to not being primary scorers sometimes. McCormack will have to get used to anchoring the defense. KJ may have to come off the bench. Moore may be running the second unit. De Sousa may have to be more than just an energy guy. Garrett may need to help stretch the floor. Until those roles clarify themselves, this team has no identity. They are KU X. But that’s what makes this fun. They are nothing and everything all at once. They have all the potential and possibility in the world. They are a daydream. If you squint a little, you can see greatness, but it’s not fully formed yet. It’s just an idea waiting for the right time to come out. But you can also see the questions simmering below the surface. Without Langford, can this team space the floor? Is either Moore or Dotson going to be able to run the offense and defer to teammates? Is KJ willing to come off the bench? What can Agbaji give us? Will Dedric be more efficient with less touches? Who defends the other team’s best perimeter player? Are there enough touches for all of the scorers on this team? Will this team defend if everyone isn’t getting their shots? Taking pride in doing their part is a huge thing. I can’t remember who said it first, but there’s a saying that you have to be a star in your role. If you are a screener/ rebounder/ garbage guy, be a star screener/ rebounder/ garbage guy. If you are a distributor, be a star distributor. If you are a defensive stopper, be a star defensive stopper. Star in your role. Well said, chemistry is key. Lightfoot might come on very strong. Don’t forget he took some guys to task last summer. As an upperclassman, with lots of familiarity with what Bill wants (even if he doesn’t always do it correctly), and being a proven hustle guy who is a determinedly enthusiastic “team” guy, he could emerge as the player who provides important help and direction to both the new guys and the newly eligible. @mayjay or he red shirts. I’m shaking in my boots about the purple kitties winning the league next year. Doesn’t look so dumb now unfortunately. At the end of the day though, BRUUUUUUUUUCE. it figures, the year KSU will have its best team in a long time so will KU. Next year is quickly looking very average for KU. It’s gonna happen some year. I think. Well, maybe not. 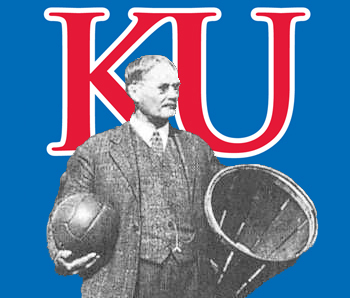 @BShark Average for KU is conference champs and #1 seed and playing to the elite 8. Absolutely. It’s just a slight downgrade from preseason #1 and title favorites. Which would have been the case imo with Doke + Silvio + Romeo. @BShark Doke’s probably back, right? Is DeSousa gone given the payments? I’ve been busy and haven’t been able to keep up. Self needs to sign a bunch of highly athletic three point shooters of the kind mislabeled by apparent Nike propagandists as Top 75 to Top 100 and lower, and sand bagged into Jay by the unmarked dump trucks. There is nothing lacking in next year’s roster that 6 > 39% trifectates including two at the post would not cure!!! Just dial up Nike lean agents and ask for some of their highly athletic Top 75-100 3pt shooters that are apparently usually kept in the back for Nova. Problem solved!!! Hmmm … maybe we go back to my comments a while back. We are seeing the path for Sam Cunliffe I had mentioned. If he can shoot … if … the guy will be needed. He is not better at basketball than Garrett (overall), but if his one superior phase is something we desperately need, that makes him necessary. Can Cunliffe even dribble and pass? I think that’s up for debate. Garrett and Cunliffe aren’t even on the same planet for knowing how to play basketball and contributing positively to the team. I hope Cunliffe doesn’t have to play next season. KU is in trouble if he is, imo. Historically Self hasn’t handled too well guys that are literally just a spot up 3 point shooter. Especially if they don’t play much defense. Any pair of athletic 6-9 to 7-1 players that hav the strength, mobility and hops that Nova’s bigs had, plus their three point shooting abilities, is hands down the best pair of players to sign, even if the apparently phony baloney ratings systems are hiding them with fake labeling somewhere south of Top 75, unless one already has three of such players on the roster already. A pair of athletic three point shooting bigs is trump in basketball bridge. Self nibbled around the edges of this with the Morri, but he had not yet stripped of the inside out blinders. Bo at UW foreshadowed this with Frank Kaminsky coupled with trey shooting wings. But Jay with his sand bag-ranked 6 highly athletic > 39% three point shooters, including his 2 highly athletic 3 point shooting bigs, kicked the door down. Self and KU have to get the Top 100 ranking phonies to sand bag rank not just six highly athletic trifectates for Jay, but six more for Bill. Do board rats still think it was just a “coincidence” that Nova had the six “sub 75” highly athletic outside shooters? As perhaps remarked on in the past, that borders on being a World Trade Center scale coincidence, a Dealy Plaza one-gunman from behind sized coincidence, a Saddam buying Niger yellow cake sized coincidence, a single Las Vegas shooter sized coincidence, a Douma chemical attack sized coincidence!!! Its like saying it was a coincidence that UK and Duke had 9 and 10 OADs on their rosters. I mean, man, was it a infinity minus 1 sized coincidence!!! If it rumbles like a dump truck, and blows smoke out of a stack like a dump truck, and it leaves Ring tracks in March, like a dump truck, shouldn’t we at least hypothesize that its a dump truck!!! Hey, here’s a new hypothesis for everyone. It takes the form of a forecast that can be confirmed or refuted in ten years; i.e., its verifiable. Alas, it may not be repeatable. It ain’t easy being Albate 1.0 Einstein, but here goes. Hypothesis: 10 years from now, some Federal investigative agency will investigate a non-Nike executive for giving obscene amounts of money to six highly athletic three-point shooting players, ranked south of 75, including two between 6-9 and 7-1, to influence them to attend a single “victim” school; this will come on the heels of Nova winning five national championships with three point shooting teams with players ranked south of 75 including two 6-9 to 7-1 trey shooing bigs on every ring team, all in the previous ten years. Aw, just having a little off-season fun here. Can’t help but perseverate a little on Nova and Jay as Self strings and bailing wires together a bunch of highly athletic two point shooters. Good! We need to be pushed. It’s never good for us to not be challenged in league play. I’d rather have our main competition come from another Kansas school. Who knows? Maybe we can spark more of a rivalry back!